If you're anything like me, even when you're a bit sore, you just can't completely stop knitting! I totally get this, and I think that with certain projects, as long as you continue to do your stretching and take ample, long breaks, it can be done. As always, if you are in severe pain and are concerned over an injury, always consult your doctor immediately! I absolutely love this sweater! I made this back in 2015, and it is simply a dream. The cables keep your hands from getting too caught up in repetitive motion. Allowing your self to stop picking or throwing the yarn and move your cable needle around is the perfect way to give your little wrists the relief that they need! I had to throw one of my own colorwork projects into the mix for this list! Not only does this beanie knit up quickly, it allows you to utilize both your hands equally. One of my issues when I'm working on projects that are just plain stockinette or lace, is that my right-hand gets over-tired from picking at my yarn. This is the PERFECT project to try the two handed-method for your colorwork! 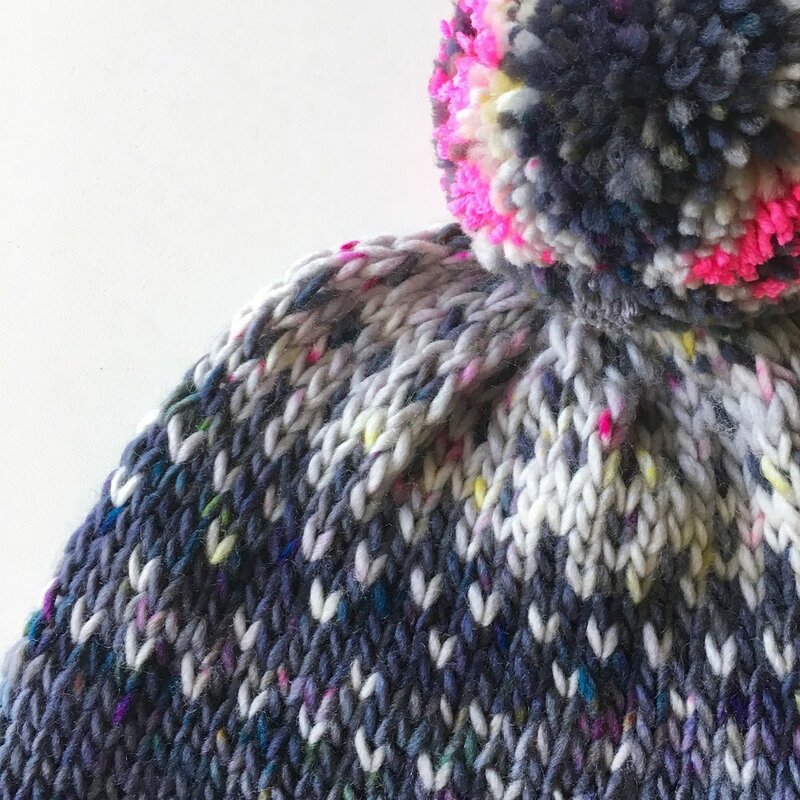 Alleviate that pressure on your dominant hand and try out this fun beanie pattern. Lace can often be quite the workout, but this is the perfect project for the ergonomic knitter! This beautiful shawl switches up your stitches and gives you lovely little breaks between its mesh and lace sections. It's a super quick and fun knit as well as a good first-time shawl for all those knitters out there new to the shawl game! This genius little project uses beautiful slip stitch techniques to create a faux-colorwork look on these mittens. If colorwork isn't your thing, I would suggest breaking up the monotony of your latest giant shawl or sweater project with these bad boys! My absolute latest obsession is this sleeveless beauty from the talented Elizabeth Smith! Even do a quick garment knit in a seed, waffle or basket stitch can help reduce the fatigue and strain you may be feeling from your other projects. Try out this gorgeous garment and explore some new stitches!